Take a trip to the north woods with Maria Kalinowski's Into the Woods collection for Kanvas. 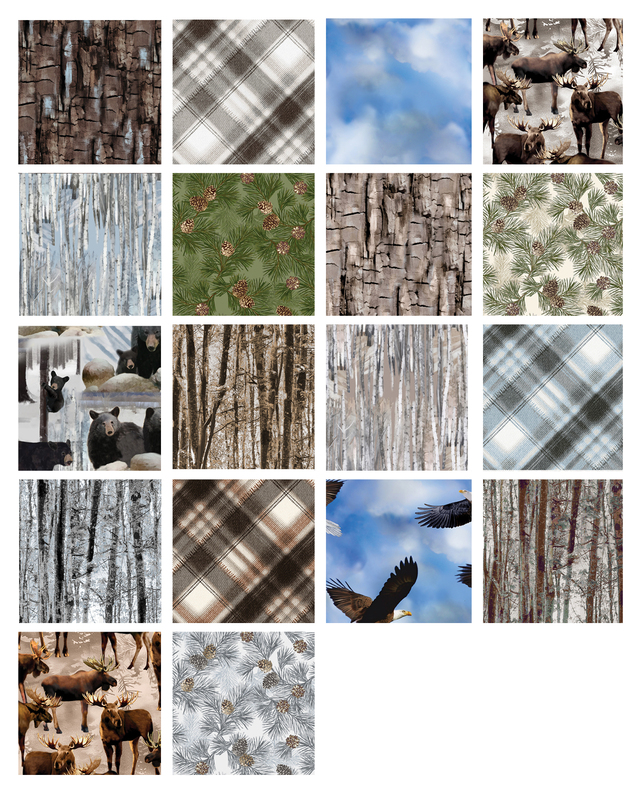 Great forest prints and textures, realistic moose, bears and eagles, pine cones, and a cool diagonal plaid. Perfect for a quilt for a cabin in the woods, or for someone who wishes they had a cabin in the woods! And...it comes in flannel as well! So cozy! Click here to see the entire Into the Woods collection. Click here to see the flannel prints. I love this fabric line! I lve in a cabin in the woods on the side of a mountain yearround. We have lots of wildlife and it is amazingly peaceful. The texture is so alive in the tree & bark prints.